The Pixel 2 and 2 XL brought a new Ambient Display feature that automatically recognizes nearby playing music and displays the song's title and artist without you having to launch Shazam or any other music ID app. 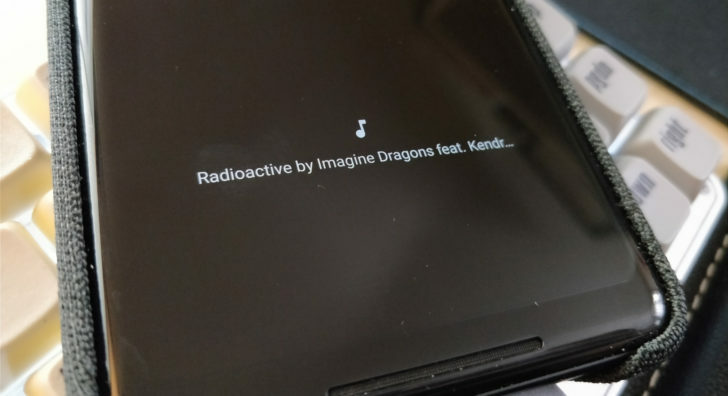 The third-generation Pixels will up the ante with a log of all the identified songs. 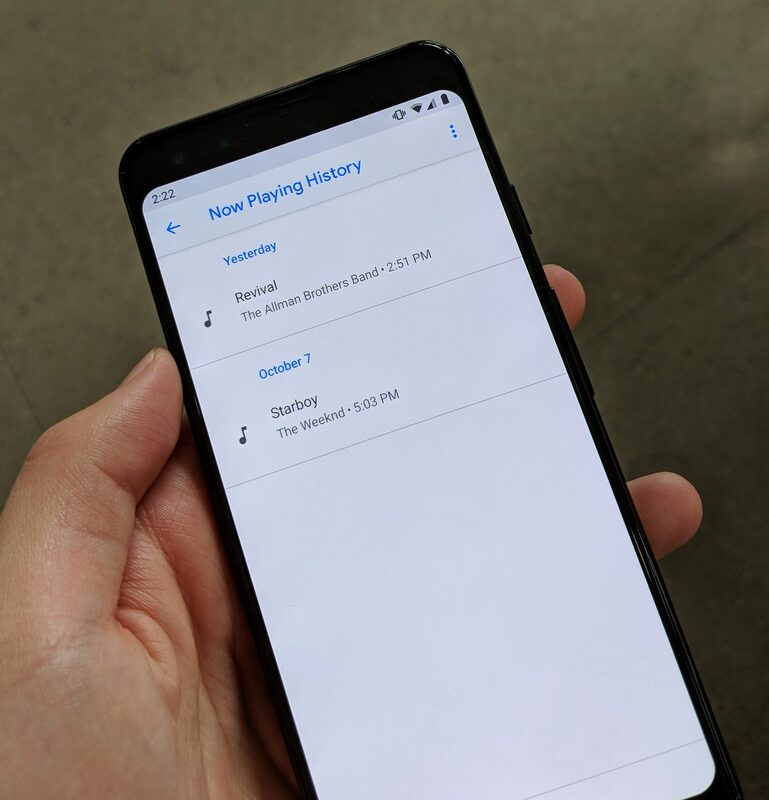 9to5Google reports that the Pixel 3 will offer a Now Playing History shortcut you can place on your homescreen that lets you access a log of all recognized songs, organized by day and time. It doesn't seem like you can do anything with that list beside browsing it, which means third-party loggers like (the similarly-named) Now Playing History will still have a benefit by letting you search, delete, scrobble to Last.fm, open the song in many other music players, and export your list. Now Playing History shortcut and screen on the Pixel 3. 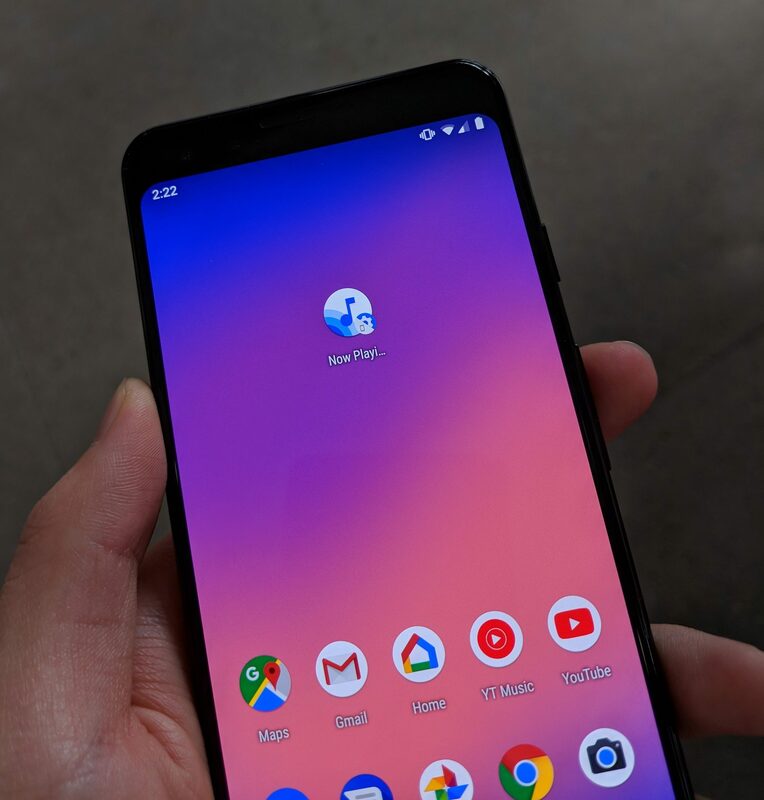 Image credits: 9to5Google. 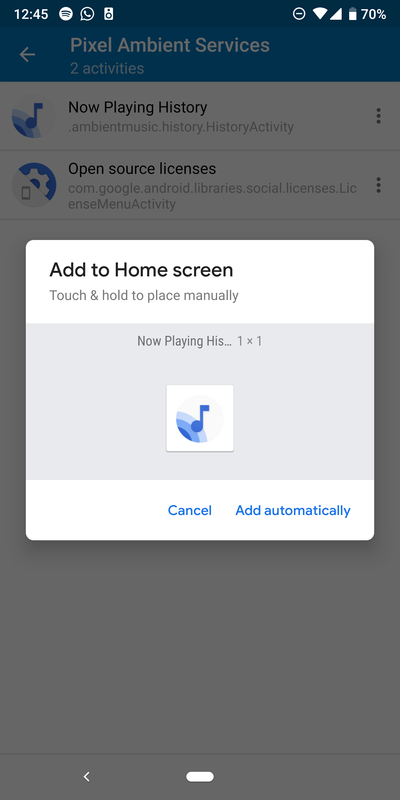 Given that the Now Playing feature is linked to the Pixel Ambient Services app, and the latter received an update recently to v1.0.215774583 (APK Mirror), I checked out whether the feature was included on my Pixel 2 XL. 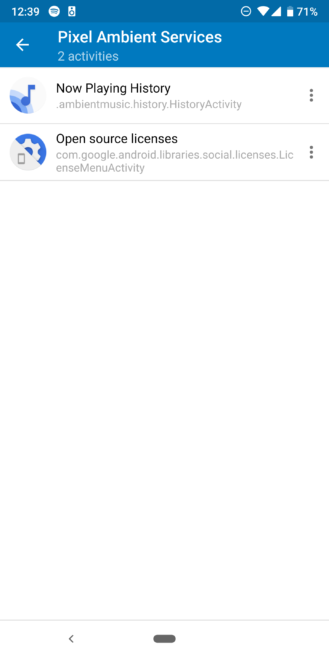 Turns out, the activity is already there, but it doesn't do anything when launched on my phone. Perhaps it requires some flag to be enabled, and perhaps it's just not compatible with the second-generation device and will be a Pixel 3 exclusive.